A new spot, offering seafood and more, has made its debut in the neighborhood. Called Cajun Bistro 7, the newcomer is located at 3005 Silver Creek Rd. in east San Jose. This newcomer features Vietnamese and Louisiana-style fusion fare, with an emphasis on crawfish and shrimp boils, the eatery states on its Facebook page. For starters, expect to see offerings such as fried shrimp, squid and tilapia; chicken wings seasoned with fish sauce and "shaken" filet mignon with French fries. Switching over to entrees, look for items like boiled crawfish in a spicy or butter and garlic sauce, grilled oysters on the half shell and fried rice with salted fish. Cajun Bistro 7 has proven popular thus far, with a five-star rating out of 17 reviews on Yelp. 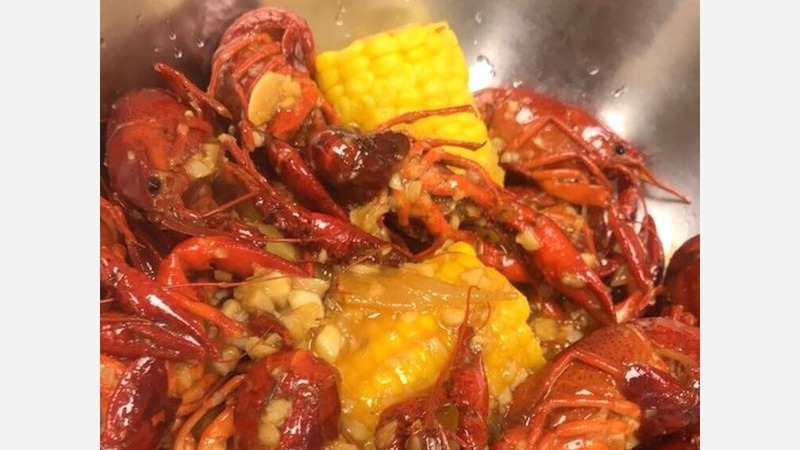 TieuVan P., who was among the first Yelpers to review the new spot on March 3rd, said, "We're a big group of 15 and we decided to try this new crawfish place, since there was no line. We got seated right away. Service was very fast, and servers were responsive." Yelper Sydney C. added, "We stopped by here as an alternative to Kickin' Crab being super busy last night. No wait. The menu served crawfish and shrimp. Everything else was of Vietnamese cuisine. We didn't mind at all." Swing on by to take a peek for yourself: Cajun Bistro 7 is open daily from 11:30am-9pm.